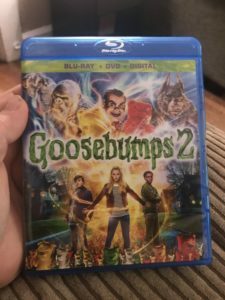 Goosebumps 2: Haunted Halloween - Blu-ray Review - ReDVDit! Goosebumps 2: Haunted Halloween (also known as Goosebumps 2 and marketed as such for home release) is a 2018 American horror comedy film that was directed by Ari Sandel and written by Rob Lieber, from a story by Lieber and Darren Lemke. 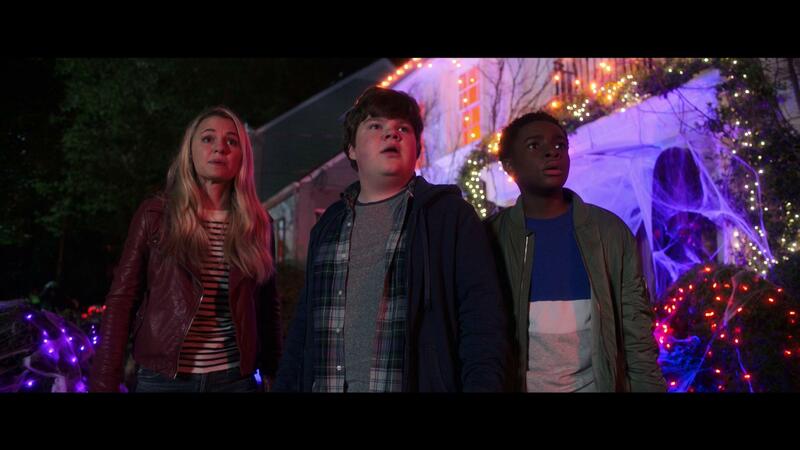 A sequel to 2015’s Goosebumps, it is based on the children’s horror book series of the same name by R. L. Stine and stars Wendi McLendon-Covey, Madison Iseman, Jeremy Ray Taylor, Caleel Harris, Chris Parnell, and Ken Jeong, with Jack Black returning to reprise his role as Stine from the first film. 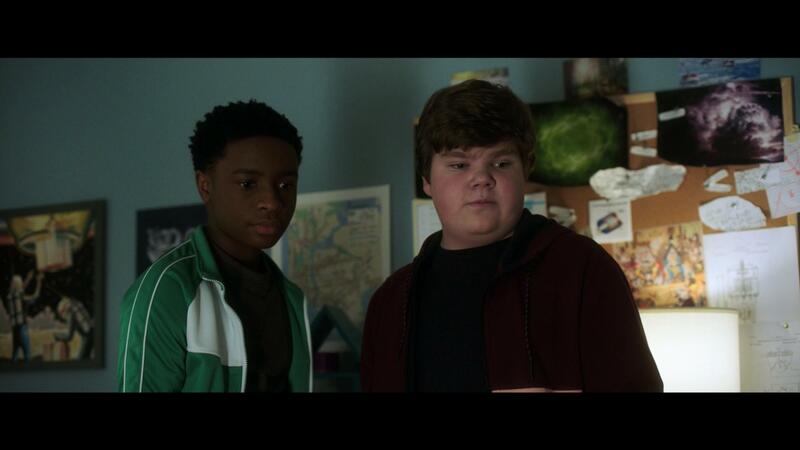 The plot follows two young boys who accidentally release monsters, demons, and creatures from the Goosebumps franchise in their town after opening an unpublished Goosebumps manuscript titled Haunted Halloween, causing a wave of destruction on Halloween night. Unlike the previous installment, Village Roadshow Pictures was not involved with the film. Goosebumps 2: Haunted Halloween was released in the United States on October 12, 2018 by Sony Pictures Releasing, under its Columbia Pictures label. The film received mixed reviews from critics and has grossed over $92 million worldwide against its $35 million operating budget. In the United States and Canada, the film was released alongside First Man and Bad Times at the El Royale, and was projected to gross $15-21 million from the 3,521 theaters that was playing it during opening weekend. The film went on to make $4.9 million on its first day, including $750,000 from Thursday night previews, up from $600,000 by the first film. It went on to debut to $15.8 million (down 33% from the first film’s opening of $23.6 million), finishing fourth at the box office, behind Venom, A Star Is Born, and First Man. The film dropped 38% in its second weekend, to $9.7 million, remaining in fourth place. Goosebumps 2: Haunted Halloween is a movie, that many considered to be unnecessary. But, that doesn’t necessarily mean that it couldn’t be fun. Sticking with the formula that worked, combined with the creation of a good storyline, the movie provides audiences with an experience that can be fun for the entire family. While there isn’t anything that really stands out with this movie; but, outside of a sense of nostalgia if you grew up with the writings of Stine, this movie is one that my wife and I both found to be fun, and one that I’m sure that we’ll be revisiting as our son gets of age. 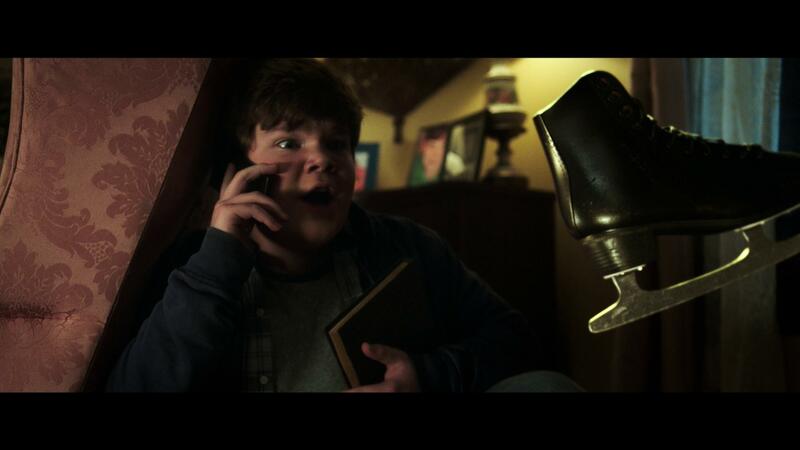 With its presentation in 1080p, Goosebumps 2: A Haunted Halloween gives its viewers a considerably strong visual presentation that boasts itself with visual clarity, a bright color palette, and deep blacks. With a display that’s very rich overall, audiences are able to visually see and understand everything as it progresses without any hesitation. The blend of the computer generated effects with the more natural elements worked very well together and creates a very solid experience for anyone who opts to sit down with this movie. Packaged with a DTS-HD Master Audio 5.1 mix, the Blu-ray release of Goosebumps 2: A Haunted Halloween provides its viewers with a pretty solid audio experience that will powerhouse any home theater system. Sure, the audio track that accompanies this release is a considerable downgrade over the 4K UHD counterpart, but that shouldn’t really deter you if you’re looking to save a few dollars on the purchase. The sound effects for the various scares from Stine’s novels helped to make everything feel significantly more real, and ultimately allows for the viewers to feel as if they’re right there in the middle of the storyline. The dialogue is spoken cleanly, and the characters are able to be heard and understood without any issue or hesitation. 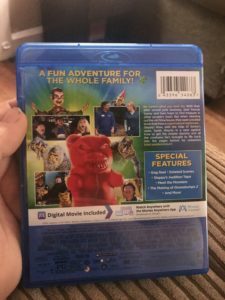 The Blu-ray release of Goosebumps 2: Haunted Halloween comes packaged in your standard two-disc Blu-ray amaray case. Within that case, the standard Blu-ray copy of the movie, and the standard DVD copy. The Blu-ray disc features a piece of artwork that’s related to the movie and completely different from that of the case, while the DVD only has the standard release text. There is a digital copy redemption pamphlet, as well as a slipcover that was included in the original pressing of the release. Unfortunately, my personal copy is not from the first pressing of the release, so I did not receive a slipcover with my purchase. Thrills & Chills – The Making of Goosebumps 2 – Explore the basics of the movie. The story, the setting, the cast and the characters, Ari Sandel’s work as director, and Tesla’s place in the film, and much, much more. Meet the Monsters – Take a closer look at monster diversity, design, construction, and implementation into the movie. 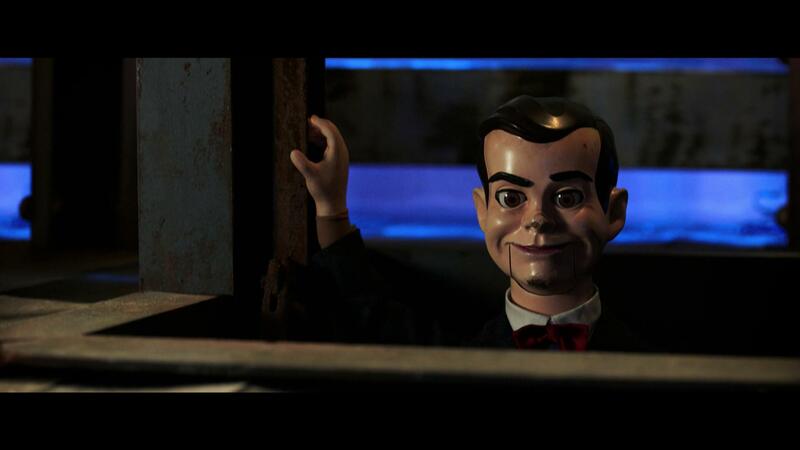 Science with Slappy – A five-part feature where each section features Slappy and the main cast either conducting some science experiments that in some way relate to the film or explaining some scientific truths. These are educationally oriented with a humorous twist. Junk Brothers – Call Now! 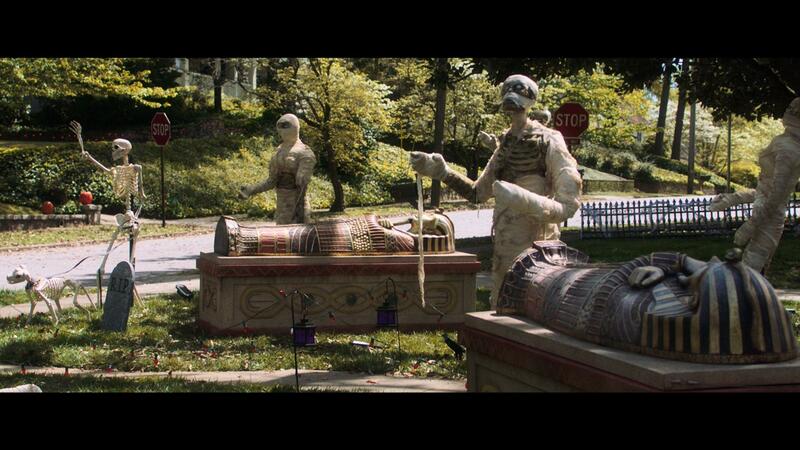 – Sonny and Sam make a commercial for their junk removal business. 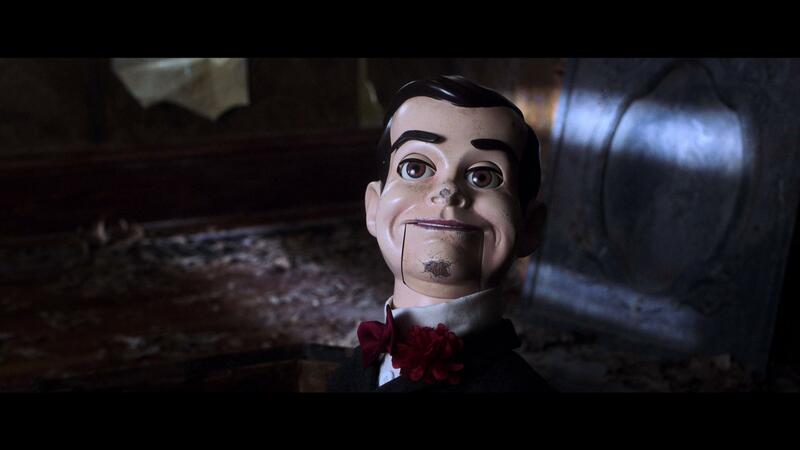 Slappy’s Audition – The puppet auditions for his own role, and he’s a shoe-in unless Daniel Day-Lewis is brought in to play the part. Overall, I found Goosebumps 2: A Haunted Halloween to be a really great time. Similarly with the first film, I couldn’t help but feel a sense of nostalgia as my wife and I watched along as I had grown up loving these books, and hope to one day share these books with my son as he gets older. The story of the film was right up there with the silliness and severity that was seen in the first film, and falls right in line with the experiences the books had left with children. The audio and video experiences that were had with the Blu-ray were nicely done; however should be noted that there is a significant upgrade with this title’s 4K UHD release. If you’re considering this release for your collection, I’d definitely recommend picking it up if you either already have the first film, or if you too are someone who had grown up reading the Goosebumps books. Goosebumps 2: A Haunted Halloween is available on 4K UHD, Blu-ray and DVD.